“Am I trippin’? Let me know / I thought all that Donald Trump b******t was a joke,” is the year’s most relatable rap line. 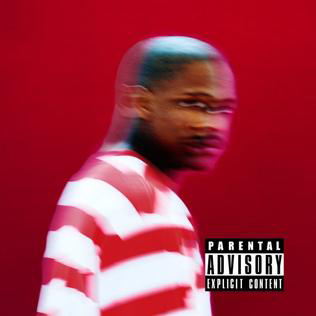 On his second album, “Still Brazy,” YG has created a protest song designed to make your trunk bounce so hard you just have to turn it up louder. All the while, the 26-year-old pleads with listeners to help him stop a man who threatens their communities, addressing them not as the uninformed masses found in think pieces but as people with families and communities worth protecting. Despite its hostile presentation, “FDT” is fundamentally about unity. This song is for anybody frustrated and confused by what they see on television, regardless of background. While “Still Brazy” as a whole is heavily concerned with the relationship between different races, “FDT” specifically focuses on how members of every race have an interest in stumping Trump. The first line of YG’s opening verse is, “I like white folks, but I don’t like you.” During the track’s third verse, YG and featured rapper Nipsey Hu$$le trade bars defending Hispanics, one of the primary groups Trump has written off as detrimental to the United States. YG and Hu$$le have no interest in deepening the division “All Lives Matter” supporters insist is the product of race-obsessed liberals. For them, there seems to be just one personal characteristic that matters: racist or not — and they know which of those categories fits Trump. Fellow Compton native Kendrick Lamar has seen his song “Alright” turn into a Black Lives Matter rally cry — he’s one of this generation’s best rappers because of his layered approach to black consciousness. But YG provides a frankness missing from much of Lamar’s work. When “FDT” comes on, there’s no room to misinterpret how listeners should feel. If Lamar represents an evolution of Boogie Down Productions’ consciousness, YG is a revival of N.W.A.’s revolution. One attempts to overcome oppression by asserting cultural identity as the other shoves people into the streets. While Lamar pulls in stylistic references from across the spectrum of black music, YG eschews the introspectiveness of conscious hip-hop in favor of gangsta rap’s blunt demands for action — all while riding a thick g-funk groove. These are distinctly different approaches to audience mobilization. Neither is inherently better than the other and both have had varying degrees of success in hip-hop, but YG’s take is refreshing in a way few mainstream rap acts are. He provides listeners with a clear motivation and relentlessly repeats his three-word mission statement. Of course, the downside of using a platform for outright aggression is the risk of inspiring violence. “Still Brazy’s” version of “FDT” is missing several lines from the original, including one in which Hu$$le implies that Mexican drug lord El Chapo may assassinate Trump. Following the song’s release, members of the U.S. Secret Service contacted Universal Records to review the album’s lyrics. When the agency requested YG alter lines alluding to attacks on Trump, the rapper went a step further and cut them altogether. As he told San Fransisco DJ Shay Diddy, inciting “ignorant s**t” was never the song’s point. “FDT” isn’t about promoting violence — it’s promoting political action within a system ignoring many of its constituents. “Reagan sold coke, Obama sold hope / Donald Trump spent his trust fund money on the vote / I’m from a place where you prolly can’t go / Speakin’ for some people that you prolly ain’t know,” Hu$$le raps before imploring previously incarcerated people to research their voting rights. After all, every voice matters. The quintessential “Song of the Summer” can usually be the song of any summer. Their appeal is universal and they make people revel in whatever definition of positivity fits them. But “FDT” is 2016’s “Song of the Summer” because this year hasn’t included much of anything with universal appeal and positivity. This has been a year of divisiveness, and no song better reflects the country’s current temperature — rising, with no end in sight. “FDT” doesn’t transport us back to a first kiss or a trip to the beach. Instead, it makes us revisit the moment we put our head in our hands and wondered how the country reached this point. Whether that was during Trump’s promise to build a “great wall” and have Mexico pay for it — a speech the original song samples — or when he finally clinched the GOP nomination, “FDT” doesn’t make you feel good about that day. And it conscripts you to help ensure we don’t feel that way for the next four years. When YG threatens to crash Trump’s next Los Angeles rally, he’s demanding that everyone listening join him. If you go, don’t bother bringing a weapon. Middle fingers will do just fine.